Once again, it’s a perfectly clear day this year. Maybe a little haze, but otherwise a blue sky in San Francisco. But the sounds of the city are a bit sharper today, the foot traffic, the construction equipment, the screeching of the commuter rail and light rails pulling into their stations. And there is a bit of wistfulness, a bit of nostalgia in the most classical sense of the word. 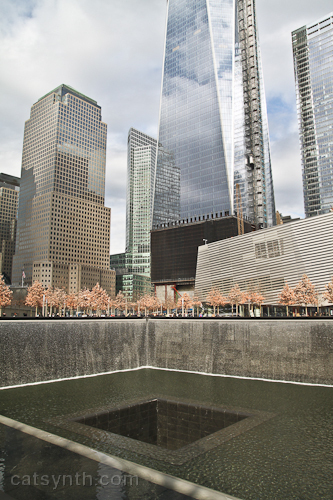 A few things have brought 9-11 back to the fore the anniversary. First, there was the opening of the Cortland Street subway station which serves the 1 IRT line and which was pretty much destroyed in the attack. It’s the last major piece of the puzzle in the rebuilding of the neighborhood, which is a thriving and vital space that includes the transit center, the 9/11 Memorial, and of course 1WTC which has taken its proper place in the skyline. 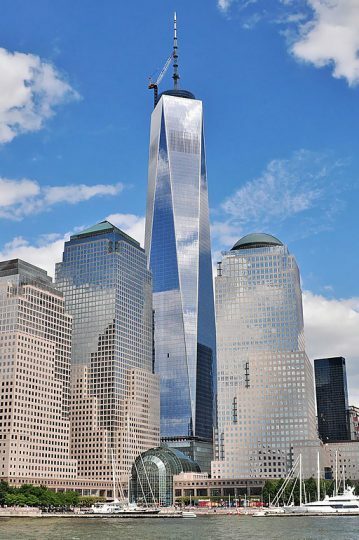 Let’s take a moment to emphasize that the building is called 1WTC! It never was, and never will be, the so-called “Freedom Tower”, a name that was obnoxious, jingoistic, and rather gauche. Same thing for the attempts to call the date “Patriot Day”. I always detested that. The other time bringing today into focus wasn’t 17 years ago, but last year. 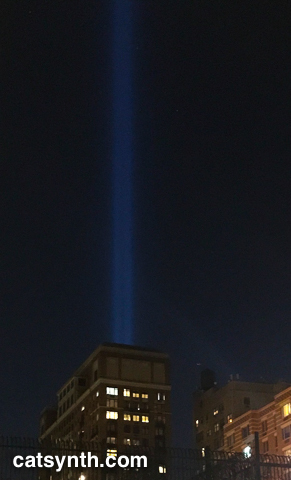 I was back in New York by coincidence, and the Towers of Light memorial loomed over us in both Manhattan and Brooklyn as we went about simply enjoying being in New York. I posted this picture at the time. If there is a dominant feeling at the moment, it is more one of homesickness for my home city, the one that will always be The City. And that trip one year ago truly emphasized all its aspect. A wedding on Governors Island with both lower Manhattan and Brooklyn waterfront surrounding us. I rode a record number of subway lines (yes, I’m a total transit nerd). We wandered in Borough Park as well as my usual haunts in Downtown Brooklyn, Chelsea, the West Village, and the Bronx. 17 years ago, the dominant feelings were grief, anger, and (I’m not afraid to admit it) a desire for revenge. That revenge never came – it was twisted by the rest of the country into a nationalistic (and often tacky) morass that turned into multiple wars that left us and the world poorer. The rest of the country rattles its swords, waves its flags, and the great cities suffer. I do hope one day the radical fundamentalism and radical nationalism that grip so many places in the world, including our own country in this moment, will dissipate. And I hope to return home again.